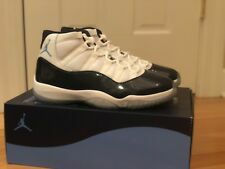 Nike Air Jordan 11 XI Retro Low 'Iridescent' Easter White 528895-145 Size 12.5. Shipped with USPS Priority Mail. Nike Mens Air Monarch IV Training Shoes 4E Sz. 15 NEW 416355-102. N ike id# 416355 102. Product Line: CMFT Viz Air Max. Air Jordan CMFT Air Max 11. low-cut version of the Air Jordan 11 (XI). Professional Athlete: Jordan. faux carbon fiber. sole of the Nike Air Max 1. Colorway: Black, Varsity Red, White. 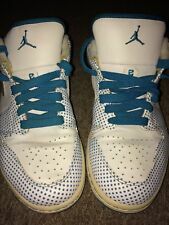 **RARE** White base w/ teal colored dots pattern, inside sole, bottom rubber sole, inscriptions, n laces. 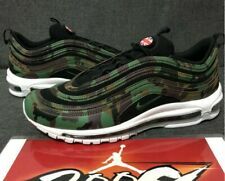 US size 8.5, UK 7.5, EUR 42, CM 26.5 Been sitting in my collection n must downsize. Great condition, no wear on soles n no damage. Very small creases in toes (pic). 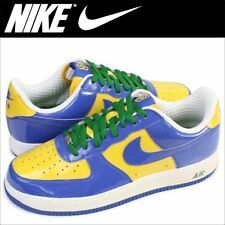 Comes with Nike shoebox that is not original to this specific shoe. ADD THEM TO YOUR COLLECTION!! NIKE JORDAN 11LAB4 IV BASKETBALL SHOE. COLOR: UNIVERSITY RED/WHITE. BOX: ORIGINAL BOX, NO TOP.